The Alumni Association invited local parents of alumni back to campus recently to tour classrooms, speak with faculty members, and enjoy lunch in the Jack Olson ’67 Commons. Faculty and students alike enjoyed visiting with parents of alumni and updating them on academic course options and how the new Our Common Bond campaign spaces enhance the educational experience. Legacy families gathered on campus recently to celebrate their multi-generational support of USM, and their efforts to enhance the community aspect of the school. Guests enjoyed mingling with friends over coffee and a continental breakfast in the Jack Olson '67 Commons. Currently there are 172 students who have a family legacy of attending USM, with one or both of their parents, grandparents, or great-grandparents attending the school of one of its predecessor schools. Cristina Costantini ’07, co-director of the critically acclaimed documentary "Science Fair," visited campus recently and spoke with Upper School students about her experience at USM and at Intel ISEF, the world's largest pre-college science fair, and how they continue to inspire her. 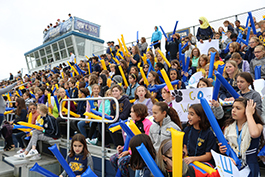 Thank you to everyone who came out in full Wildcat spirit to celebrate Homecoming 2018! The Alumni Association hosted a full line up of events, from unveiling the new Athletic Wall of Fame to enjoying our first all-community homecoming BBQ in the Jack Olson ’67 Commons and Willie’s Fun Fest! Special thanks to all our alumni board members for volunteering to ensure all the events were successful. Click here for more information and photos. Thank you to all who have supported the USM Fund so far for the 2018-19 school year. If you haven't donated yet, there's still time to make your tax-deductible gift! 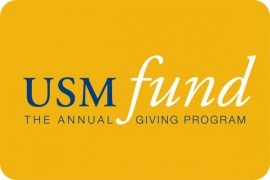 The USM Fund is a vital source of support for our school's annual operating budget and supports all aspects of USM life. Your support demonstrates the loyalty, commitment, and generous spirit of our USM community. Click here to learn more, and we thank you for helping provide our students with the experience for a lifetime.